Trinity High School: Latest News - Success for Skills USA at State Competition! Success for Skills USA at State Competition! Congratulations to all SkillsUSA winners and participants! 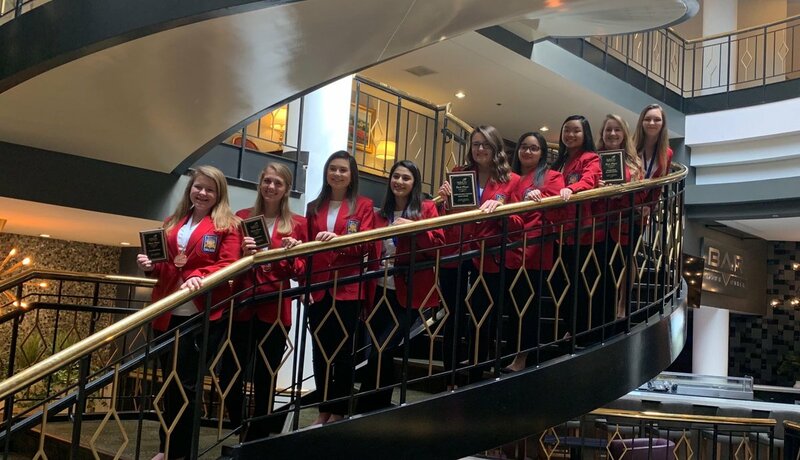 Attia Bibi, Jessica Bryant, and Ruth Cruz won first place in Career Pathway Showcase; Makala Hall, Sophia Zheng, and Amy Ward won first place in Promotional Bulletin Board; Kacey Flucher won third place in Customer Service and Addie Pendry won third place in Job Interview!